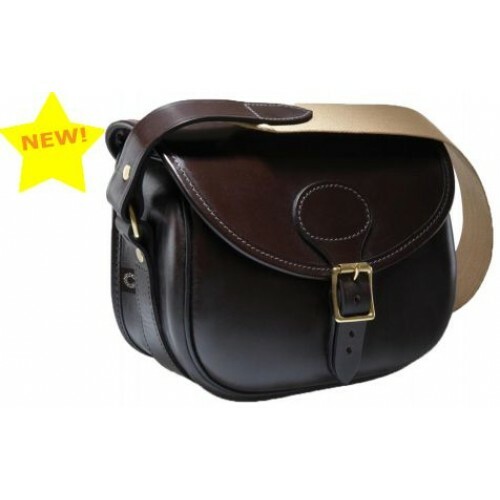 Waxed Bridle Leather cartridge bag with a capacity of 100 cartridges and has a hinged speed load design allowing for easy access. It has a 2" wide cotton webbing shoulder sling for comfort and there is a full suede lining. Our engraved initialling service provides you with the chance to put your own finishing touch and add your individual mark. Up to four letters are possible on this product. Once you have placed your order you will receive a call or email from our office to discuss the embossing.